Flooded Trees – will they survive? Last November I took on an allotment overlooking the River Don in Hexthorpe, Doncaster. Spent the time clearing the overgrowth and managed to plant over 100 rootstocks and some recently transplanted plum cordons. 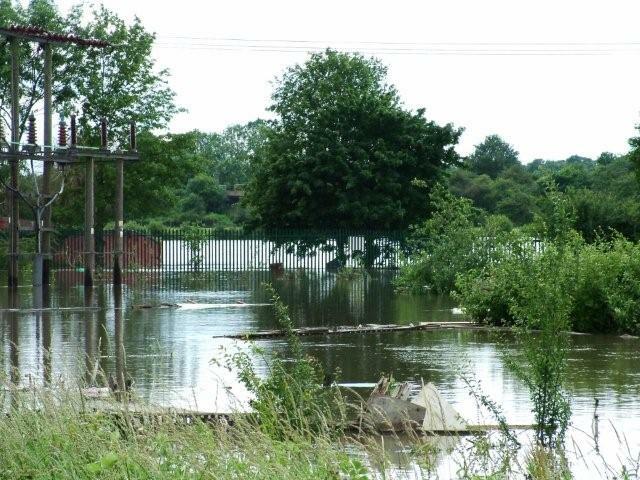 June is not usually a time to expect the river to flood, but the allotment is under water. The plot is behind the power pylon up to the fence. Can anyone proffer any hope – how long can these plants remain submerged and survive. Last week the rain flooded the plot, but thanks to pumping the water out, the water level did drop, now 4 days later, estimate that the trees are under 4ft of water. Am feeling pessimistic – should I be? 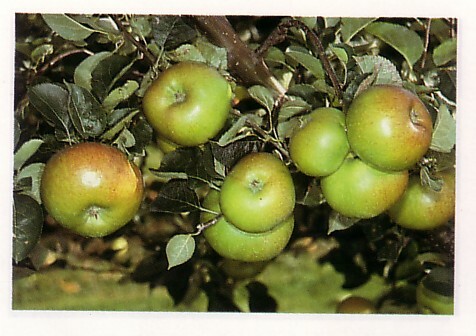 May I use the Fruit Forum site to inform apple lovers that 2009 marks the 200th birthday of Bramley’s Seedling. My professional colleague, Roger Worraker, a devotee of the variety, is working closely with Celia Merryweather, to ensure celebrations are given sufficient prominence. Roger and Celia advise me that it is a celebration that is planned, not a Bramley Promotion, that being safely in the hands of a commercial group within the industry. Some brains are currently engaged, and ideas being generated across a raft of suggestions. We would welcome any feedback on ideas to mount a National Bramley Celebration in 2009, if only to share our great love of this renowned fruit variety with others. It is an ideal ‘media’ subject, offering interest, education, culinary delight and horticultural information. There are potentially so many imaginative ideas to commemorate this remarkable birthday – a double Queen’s telegram perhaps? Every best wish to the Forum, a worthy meeting place in a modern world for fruit lovers everywhere. The Friends of the Brogdale Horticultural Trust must ask themselves some questions in the wake of the BBC Radio 4 ‘Food Programme’ broadcast on 20 and 21 May 2007. In the course of an interview with Lord Rooker – Minister responsible for Defra, the owner of the National Fruit Collections at Brogdale – Lord Rooker stated twice that the decision to move the Collections to another site, in order to guarantee their security and future, had been taken last year. Why then did Brogdale Horticultural Trust issue a ‘Message from the Chairmen of the Trust and Friends’ dated 1 February 2007 informing Friends this year that the Trust was taken by ‘surprise’ by the terms laid out in the Defra tendering procedure for the maintenance of the Collections after March 2008, which made provision for just such a move? Is it possible or likely, that Defra had not taken the Trust into its confidence concerning the move when the only party interested in making such a move was the Brogdale Horticultural Trust? The answer to this question must take account, in the process of Defra’s decision-making, of the reason given by Lord Rooker that prompted the decision; what he claimed was the problem of relations between the Trust and the landlord/Hillreed, which had deteriorated to the point where the Trust was moving its administration offices from Brogdale. The Minister was clearly wholly taken up by the problems the Trust claimed were created by the landlord. He never concerned himself with the other side of the relationship between the landlord and the Trust. For Friends this is all very perplexing, not least because the Trust has not taken the Friends into its confidence concerning relations with the landlord and instead resorted to a crude populist attack on the landlord as a developer of the worst kind. All attempts by Friends to engage the Trust in a serious exploration of the tensions existing, or, imaginary, between the Trust and the landlord – who was after all approved as a purchaser of the site by Defra – have been rebuffed, dismissed or simply ignored. It would appear that the landlord has provided a convenient excuse for the Trust to leave Friends, and it would seem, Defra too, with false impressions, while pursuing its plans of moving the Collections to another site. How should the Friends of Brogdale Horticultural Trust respond to this new development? I can imagine many will feel as the banner headline of Faversham Times stated: ‘BETRAYED’(Thursday 24 May 2007). And yes, rightly so! But once the shock of the betrayal has been absorbed what about our responsibility as Friends to the Collections themselves? I would urge Friends strongly not to resign from membership in disgust with the situation. Friends should write to the Chair of the Trust and the Chair of the Friends seeking an explanation. Friends should challenge the Trust on a number of points. The Trust surely compromised its relationship with the Friends when it sought proxy votes against the Friends resolution, subsequently passed at the Special General Meeting. We now know that they have been preparing to move the Collections for at a least a year or two, but without informing the Friends. At the SGM on 28 April, Friends reaffirmed their commitment to the Collections at Brogdale, but, as yet, the general body of Friends have received no information on the result of that SGM, as far as I know. Friends voted to change their constitution so that they only supported the Trust while it maintains the Collections at Brogdale. The Trust should be questioned on this state of affairs. Friends should make their views known to the the Trust. We became Friends so as to be Friends of the Collections and believe strongly the Collections should remain at Brogdale for all the reasons that have been aired here. Any relocation puts the Collections at risk and not least, it would be a waste of public monies. What the Trust does and what it says reflects on its Friends. The Friends need to draw a clear line under all this by calling the Trust to account for its activities and statements of the past period, no less than its plans to move the Collections at public expense. In my view the Trust should also be called to account and censured for its statement of intent to exploit the name Brogdale and the Collections in the event that it loses the tender. Its Chief Executive was reported in the South East Farmer of April 2007 as saying ‘ the Trust owns the Brogdale name, has other projects, and could, in theory, start another collection with wood cuttings from the original plants.’ This could be seen as nothing less than commercial warfare on the Collections at Brogdale. This matter will not be settled in the weeks ahead. Win or lose, the Trust has announced its plans for the years to come. The Friends must not be silent. I wrote to my MP Sir Michael Lord, some time ago and to Lord Rooker immediately after the ‘Food Programme’ interviews. I included some eight of the ten reasons which were listed on Fruit Forum and the following notions now come to mind. 1. Every Member of both Houses should be e-mailed and made aware that a globally unique Collection of Fruit may be in hazard of being dispersed and denied free and everyday access to its owners – The Nation – and ‘rationalized’ in the interests of some limited interested clique(s). There is no single interest, which cannot be serviced within the presently holistic basis of the Collection, be it that of scientists, ‘businesspersons’, jam makers, nurserymen, garden designers … or Uncle Tom Cobley. Any improvements will be best achieved by leaving the Collection where it is and with the long lease (2050) promised by the present landlord, who, I believe, projects honesty and a genuine interest in the all embracing and ongoing character of the Collection, in contrast to the short term, controlling and seedy subterfuge, apparent in other(s). His personal investment of £1,000,000 and his plans for widening the interests of the Collections, without strings, illuminate the present Trust’s arid and exclusively limiting vision for its future. 2. Lord Rooker’s statements do not match those made by the present Trust. Both must expand and explain their differing representations. 3. The Trust must be given the opportunity to correct the current ‘communications anomaly’ and inform all addressees known to it of all the opinions which exist within its membership. The essential quality of any Trust is that it be totally overt and worthy of trust. 4. I understand that The Trust sold the Brogdale site, some seven years ago in order to assuage a large debt. Faversham’s local paper stated recently that The Trust remains some £200,000 in debt. Hardly a recommendation for an extended trusteeship? And whence – and how. Of base acts never finds a home. Can anyone tell me if there is a simple way to test if the core or the inside of an apple is rotten? I have been told that you can’t really tell because the apple can remain firm on the outside while it is rotting on the inside. What Fruits will Thrive in Shade? I am carrying out some research into this subject and would be very grateful for suggestions of fruits and specific varieties likely to do well in shade which are also rated for flavour and disease resistance. I am interested in all types of fruit and all types of shade! Now that I have used up the last of my 2007 crop of apples and love eating them all the year round, I had to visit my local retailer and came out with a bag of the newish New Zealand variety Jazz. How I am enjoying them, very crisp, pure white flesh, juicy and with plenty of flavour. Ah, I will get a tree of this and grow some of my own, came the immediate thought, but reason came to the rescue. ‘You can’t buy a tree, it is a club apple’. Which leads me to the purpose of this little note, to explain how the marketing of new fruits has changed over the centuries. In the case of the apple Dummelow’s Seedling, once our foremost cooking apple and up to the 1950s the premium commercial mincemeat apple, a Mr Dummeller, of Ashby-de-la-Zouch, raised a chance seedling in the late 1700s and generously gave anyone who was interested some graftwood and so the variety spread slowly by word of mouth and eventually by nurserymen. With Bramley’s Seedling, raised by the young Mary Anne Brailsford in about 1810 in a house in Southwell, Notts, belonging to a Mr Bramley, it was spotted by a neighbour, Henry Merryweather, who ungraciously named it after the house where the tree stood and not after the raiser of the tree. He propagated trees of the variety far and wide. The same happened with the still famed William’s pear. Raised about 1770 by a schoolmaster, Mr Stair in Aldermaston, Berkshire, it was distributed by a nurseryman, Mr Williams, of Turnham Green, who also gave it his name and likewise a Mr Bartlett imported it into America under his name. In the 19th century fruit nurserymen who also bred their own apples came into being. Principal among these is the firm of Laxton’s in Bedford. This famous firm bred many apples in the first part of the 20th century, mostly with the aim to produce fruits carrying the Cox flavour for as long a season as possible. Some of these are still popular with amateurs today – Epicure, Fortune, Superb and Lord Lambourne. Research stations also came into being in the 1920s and they started breeding fruits suited to their area: Long Ashton near Bristol bred many plums; East Malling produced many different fruits; The John Innes Institute at Merton, London, bred mainly cherries. After the National Fruit Trials came to Brogdale from Wisley Village in the early 1950s, it commenced trials of new accessions with the object of finding those suited for general culture in the UK. Plant Breeders’ Rights, a form of patenting varieties, came into law about then. This meant that the breeder would get a guaranteed sum back for each of his trees sold by nurserymen. Those from UK breeding stations were, by arrangement, trialled under strict security for a period, often five years and if found suitable, were then released for propagation by the Nuclear Stock Association after removing any virus infection and bulked up for sale, some of the proceeds going back to the breeder. This process would normally take at least 4 years, with early stock going to nurserymen and poor amateurs like me would curse at having wait so long before being able to buy a tree. In the last 10 years or so, the amount of global competition in apples has grown to the point where growers get less and less for their produce (oversupply). In order to limit the amount of fruit grown, stock of new promising apple varieties were sold only to a limited number of chosen growers, who would then sell the fruit to retailers who obtained a selling licence from the breeder. This limited the apples of that variety sold not only in quantity but also to a chosen retailer and therefore there was no oversupply and higher prices could be charged. These became known as ‘Club apples’. One of the most known commercially as Pink Lady, actually a red apple, but when the skin ripens to an attractive pink it is sold. I personally think it tastes better when a fully ripened red, but that would not be an attractive sales point. ‘Club apples’ are not always a guaranteed success, in the case of a raspberry recently raised named Terri-Louise after the raiser’s granddaughter and claimed to be the largest ever of its kind. It was immediately taken up by a major retailer and only those growers who supplied it could purchase the canes. Unfortunately it was soft and lacked flavour, the variety was abandoned and now anyone can buy the canes. So its pot luck really.